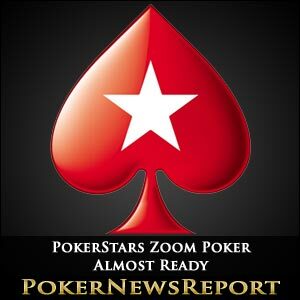 PokerStars’ latest game, Zoom Poker, will soon enter the real-money beta test stage after the poker room have completed their play-money analysis. Zoom Poker – which has been developed to take advantage of the space left by the now-defunct Rush Poker that was run by beleaguered website Full Tilt Poker – is, according to PokerStars, a new fast-paced way to play poker . 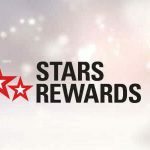 Players can test Zoom Poker by visiting testpokerstars.com right now, with a PokerStars spokesman telling TwoPlusTwo.com that we are finalising the last few details regarding the product and expect Zoom to be released as real-money beta in mid-March. The latest update from the poker room also stated that, based on player feedback, we have added two new features on their test version of Zoom. 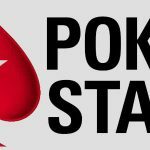 Firstly, there is now a sit out next BB that speaks for itself, while the PokerStars spokesman also added that they have introduced a fold & watch facility that – while not yet completed as some graphic work is yet to be done – will allow players to fold a hand but still watch the outcome rather than being moved to another table. All players have to do is press Ctrl+Shift while you click the fold button, although this feature will not work if using the fast fold button as this action will usually take a player immediately to another table for a new hand. Incredibly, players have been able to play between 200 and 300 hands every hour because of the fast fold facility, with PokerStars pointing out that you’re always at the centre of the action and can play more hands per hour than ever before. The poker room also added that players can even ‘fast fold’ out of turn and the players at your old table will only see it when the action’s on you, meaning that, by that time, you’ll already be playing your next hand at a different table. Players will be able to locate the full list of Zoom game ‘groups’ at the PokerStars lobby, with each category displaying the game type, such as Hold’em, as well as the stakes and other important information. Meanwhile, PokerStars have also introduced a new calendar of turbo events that will take place every day of the week – and be particularly helpful to players who don’t have the time to play for hours on end. The Hot Turbos will offer guaranteed prize pools of between $2,500 and $30,000 throughout the wide variety of buy-ins that start at 55¢ and climb as high as $109, with prize pools being doubled for the Sunday events. 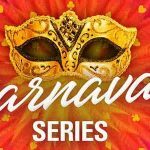 A statement from the poker room read: These action-packed turbo tournaments are perfect for when you need some fast poker action and, with guaranteed prizes pool of up to $30,000, there’s everything to play for. So, if you fancy a crack at some impressive prizes, just get over to PokerStars, visit the lobby, and then click on the ‘Tourney’ and ‘All’ tabs. Alternatively, you can key in ‘Hot’ in the tournament filter and you will be presented with the available Hot Turbos. Team PokerStars Online player Shane ‘shaniac’ Schleger is definitely thrilled by the introduction of the Hot Turbos, taking to microblogging website Twitter to write: Nice, new slate of promoted turbo tournaments on @PokerStars. #HotTurbos”.